It's that time again. Time to socialize, have a yummy meal, and do some planning for the future for TCB. We'll meet on September 14, from 6 to 7:30. 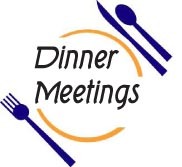 If you would like to enjoy the meal, please do your best to be at the meeting by 5:30. The meal this month will be chicken salad sandwiches, chips, beverage, and dessert. The cost is $5.00 each. We'll meet at the West Tulsa Freewill Baptist Church, 930 W. 23rd Pl. Tulsa, OK.
We'll be planning for upcoming events, especially for White Cane Awareness Day, which is fast approaching on October 15th. We need your input, so please try to attend. Tulsa Council of the Blind provides education and support for those who are blind or have low vision, as well as for their family and friends.